American actor Taylor Gray, who voices Ezra Bridger in the animated TV series Star Wars: Rebels, was born on this day in 1993. Taylor's involvement in the series was first announced in a preview video for Ezra which was released on February 14, 2014. "Then my second one was that this is the coolest thing every because it's Star Wars! It already has a built in fanbase, which is different than, say, another show that you get and you kind of have to build it up and hope people accept you along with the whole thing. "Whereas this you're just like "I hope people don't hate me because Star Wars is already something that is loved by everyone." You're just a tiny pebble in a huge universe." 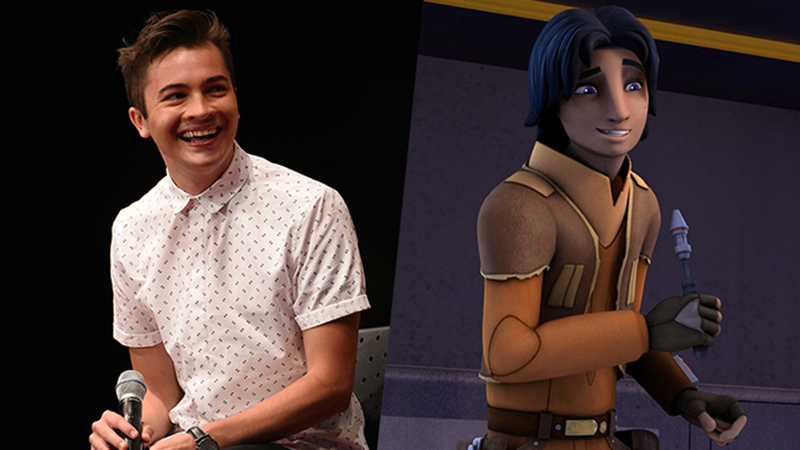 Since then Taylor has voiced the Star Wars: Rebels protagonist over the course of three seasons, with the upcoming season four set to be the last of the series. The fourth season of Star Wars: Rebels is set to premiere on Monday, October 16 on Disney XD.